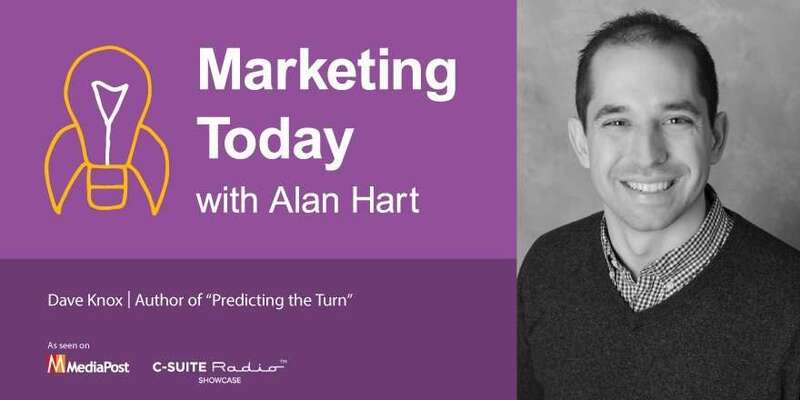 In this week’s episode of “Marketing Today,” Alan talks with Dave Knox, marketer, consultant, and author. His book, “Predicting the Turn: The High Stakes Game of Business Between Startups and Blue Chips,” was an Atticus Awards Grand Prix winner in 2017. Knox has worked for Proctor & Gamble and was chief marketing officer at Rockfish. Now, he is co-founder of The Brandery, a startup accelerator, and co-founder and managing partner at Vine St. Ventures, a seed venture capital fund.